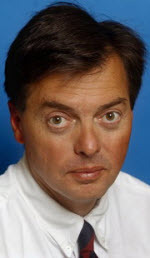 Bridge Magazine is adding one of the most perceptive political observers in Michigan to its contributors in 2012. Beginning in January, Peter Luke will join the Bridge site as a correspondent, penning regular commentaries and the occasional news report. "Talk about a great start to 2012. Bridge readers will receive the insight of the most astute Capitol commentator in Michigan," said Senior Editor Derek Melot. "Peter is a walking institutional memory of state government and state politics. We could not be more thrilled to have him contribute to our coverage of pressing Michigan issues." Luke was a Lansing correspondent for Booth Newspapers for nearly 25 years, writing a weekly column for most of that time with a concentration on budget, tax and economic development policy issues. He is a graduate of Central Michigan University and previously worked at papers in Petoskey, Mount Pleasant, Holland and Kalamazoo. "It's exciting to be joining Bridge and participating in its aim to produce serious, analytical journalism," Luke said. "I think the most interesting development in 2012 will be whether Republicans in the Legislature and Gov. Rick Snyder continue an employer-friendly agenda confined to reducing the costs of doing business in the state, or do they begin focusing on the areas seen as critical to Michigan's broader economic prospects. Those would include really addressing the future of Detroit, rebuilding infrastructure and investing in education again."